These principles form the foundation of Safeco Electric approach to privacy and will continue to shape the way we build our services. On the rest of this website, you’ll find links to more information and controls so that you can make the right decisions for you. We reserve the right to modify this Privacy Statement at any time. Each time you use this website you shall be bound by the then current Privacy Statement and accordingly you should review the Privacy Statement each time you use this website. This is a live document, under regular review. This policy was last updated in April 2019. You have the right to be given a copy of information held by us about you. You will not be charged a fee for this. Safeco Electric will provide the requested information to you within 30 calendar days of the receipt of a valid request in writing. You have the right to access your data and to have any inaccuracies in the details we hold corrected. You also have the right to have the information erased if we do not have a legitimate reason for retaining same. We will agree to any such valid requests within 30 calendar days of receipt of a valid request in writing. Please send all requests in writing to Peter Corish, Safeco Electric, Sacre-Coeur, Belvedere Road, Wexford, Y35 A3A0. Email: admin@safecoelectric.ie. Safeco Electric reserve the right to request you to provide additional information in order to enable us to identify your personal data and/or to verify your identity. When you choose to visit this website or fill our contact forms you consent to the use of that information as set out in this statement. 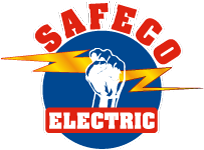 Safeco Electric will always communicate any changes made to our statement to ensure that you are always informed on how your information is used any why. Safeco Electric receives your personal information when you complete and submit the enquiry using the website form. If you have any questions about this Privacy Statement, our practices relating to the website or your dealing with the website you can contact us at admin@safecoelectric.ie or write to us at: Peter Corish, Safeco Electric, Sacre-Coeur, Belvedere Road, Wexford, Y35 A3A0.